Date posted: October 5, 2015 by: JasonDarkX2 Category: Gaming Reviews 4 comments. 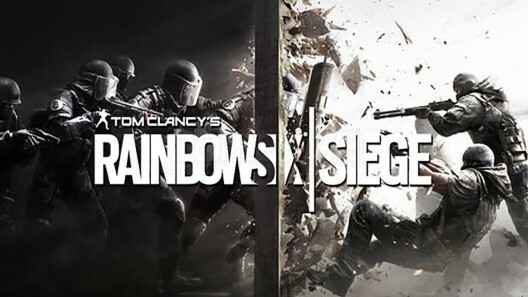 Now that the Closed beta have officially concluded, I think it’s time to decide whether if Rainbow six Siege is looking like an amazing game or is it a forgettable terrible bloody mess. Based on the Closed Beta experience, it’s kind of a neutral stand point where I personally stand there are good things and bad things to be said. But with less than two months to go till it’s official release date of December 1, 2015. Those at home who missed out on the beta should be well informed whether it’s a worthwhile release purchase. Well let’s start with the goods, right out of the box the game looks spectacular with its character designs and destructible environments which sets a great tone of realism/realistic feel to the game. Running a GTX 970 at 5760X1080 on ultra-settings experience no dip in the 60FPS what so ever. Nvidia surround included, working in both modes unlike how it was in Splinter Cell Blacklist which disable your other two monitors in competitive play. Hope they’ll will keep the triple monitor support in the full release. As for the game play, it’s certainly something different than your traditional FPS games. 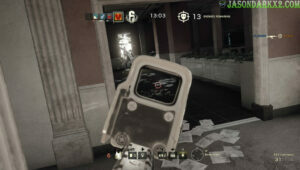 But being a heavily Multiplayer focused game extra attention was put into crafting the tactical feel of the game is greatly present in Rainbow Six Siege no longer you are able to go lone wolf in a multiplayer match and expect a win without communication and the help of your team-mates. 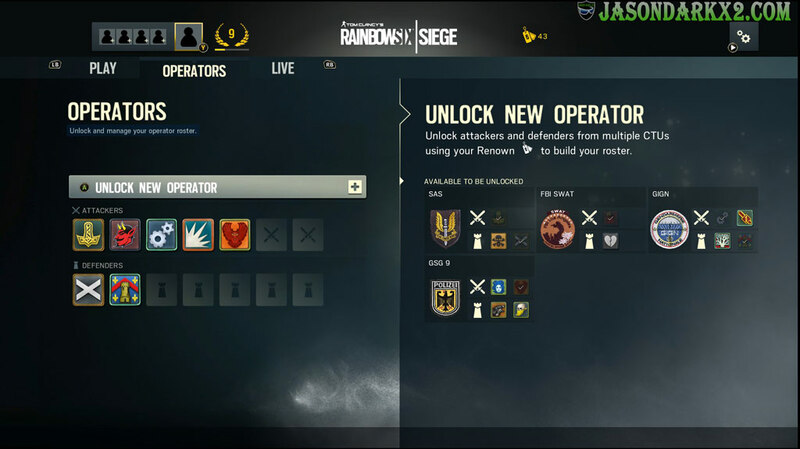 As each player is required to unlock and choose from various preset classes known as operators with an in game currency called renowned. 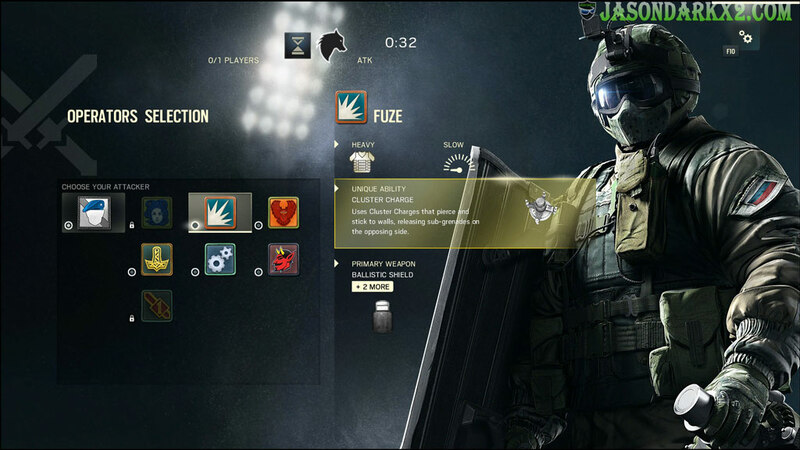 Operators are different counter terrorist units which each has their own unique ability, set of weapons, strength and weakness. Effective communication with teammates would make an effective approach to each round of attack and defend. Almost makes it to balance for its own good, as not one player can overpower the other unless you effectively work as a team as there only can be one of each operator in any given team. Well, if competitive isn't your gig, you should be glad to know Terrorist Hunt five player co-op mode is actually really good. It’s probably the most enjoyable part of the beta, well at least for me that is. 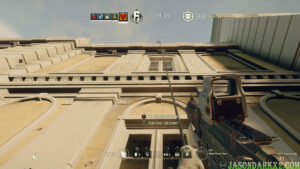 Well your Ranks & progress is shared between the two nodes hopefully this remain the same in the full release as you’ll won’t be missing out on anything by exclusively playing Terrorist Hunt only other than the Defenders operators; unless they have an unrevealed survival in the full game, which allows us to use defender operators that would be perfect. What makes Siege terrorist hunt so great was its unpredictable enemy AI while playing on realistic difficulty. As normal was laughably very easy when you got 5 human players working together. You can lone wolf terrorist hunt, but it just seems so much better with 4 other players. Even then the Terrorists Hunt player base during the beta was far more friendlier than a handful of vain popping raging people in Multiplayer matchmaking getting mad at people for ruining their beta ratio stats. 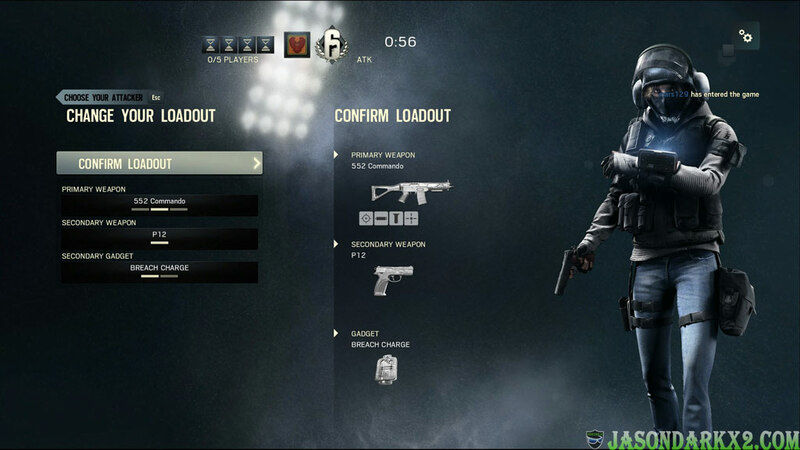 Making it very evident that Rainbow Six Siege isn't going to be a noob friendly game when it kicks off. 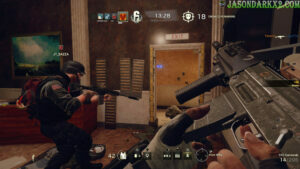 But know that you can still enjoy the game terrorist hunt mode and still get that Rainbow Six Siege tactical gameplay with four other players. Well, that’s all things about Rainbow six Siege thus so far other than IQ being my favourite operator German female with purple shoes lol, really need a defender version of her. Move on to the bad and there’s quite a few big ones to go through so bear with me here. 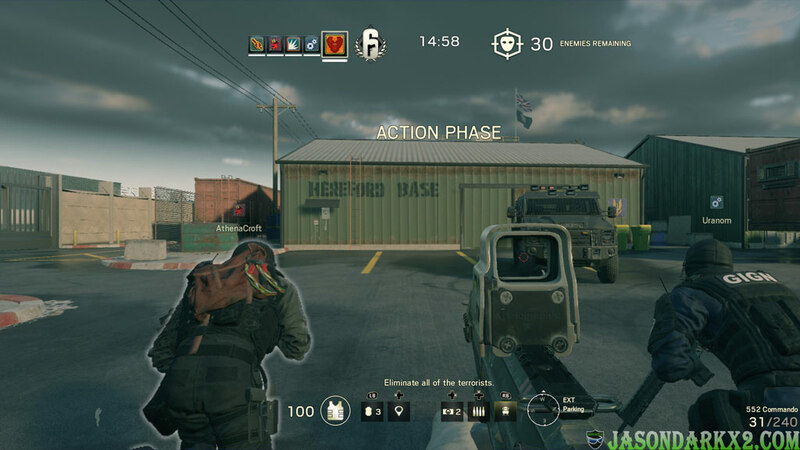 While the biggest noticeable issue was the stability of the connection, and matchmaking problems while on the PC, the beta was using P2P connection and when the host backed out or rage quit you goes as far back to the main menu as host migration was either not present or completely broken during the beta. This an issue they really need to sort out or will end up having another splinter cell blacklist where they removed the quit match option in Spies vs Merc as a solution to no host migration, let’s not have that happen again please. Next off is the noticeable lack of customize options and the lack of a real cover system. For anyone that played Vegas 2 you should definitely know what I’m talking about. Being able to personalize your character from head to toe, then taking them to all the modes was the best parts of Vegas 2. But now it seems we’re only limited to weapon customization everything from scopes, barrel, laser sight, grip, and skins. Seriously a step back from what we had in Vegas 2. 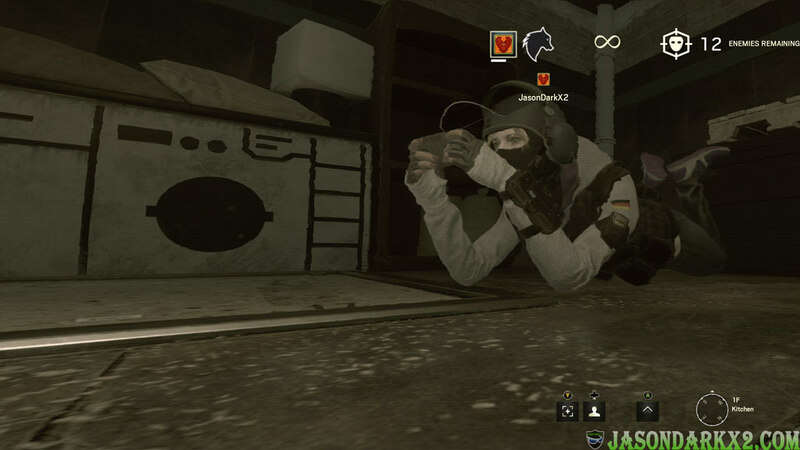 Besides other players can only see your gun if they’re dead. Which brings up the next topic, why don’t they bring back the third person cover system instead of the boring lean system which is more hassle during fire fights. A simple toggle cover plus lean would be perfect in my opinions. As of right now having to hold down the aim sight, hold/toggle left/right analog for lean direction is good for poking around the corner shooting one guy. But it activates even when outside of the cover, so if you accidently hit that analog stick while shooting someone during a firefight strafing and/or crouching you’ll have crooked aim. Overall the Rainbow Six Siege beta was a pleasing experience, but a little rough on the edges sometimes. 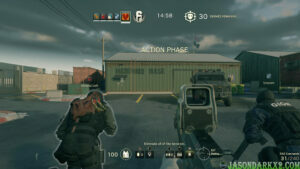 But what has been gathered from the beta, it’s safe to say while Rainbow Six Siege doesn't live up to its expectations of a $60.00USD or $80.00CAD game that you would go out and pre-order right away just based on the beta experience. But it certainly has a lot of potential in the longevity hopefully the full game will meet all those expectations. excellent review. I missed out of the beta, everything I needed to know in one single post, Good job!